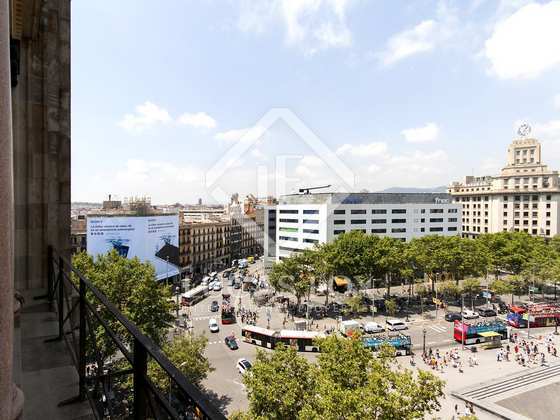 Located on the eighth floor of the former Vizcaia Bank building, which was built in the early twentieth century and converted into luxury homes in 1998, this property offers impressive views of Plaza Cataluña and the Eixample district with huge windows and a balcony. 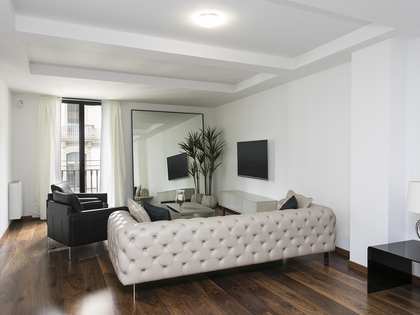 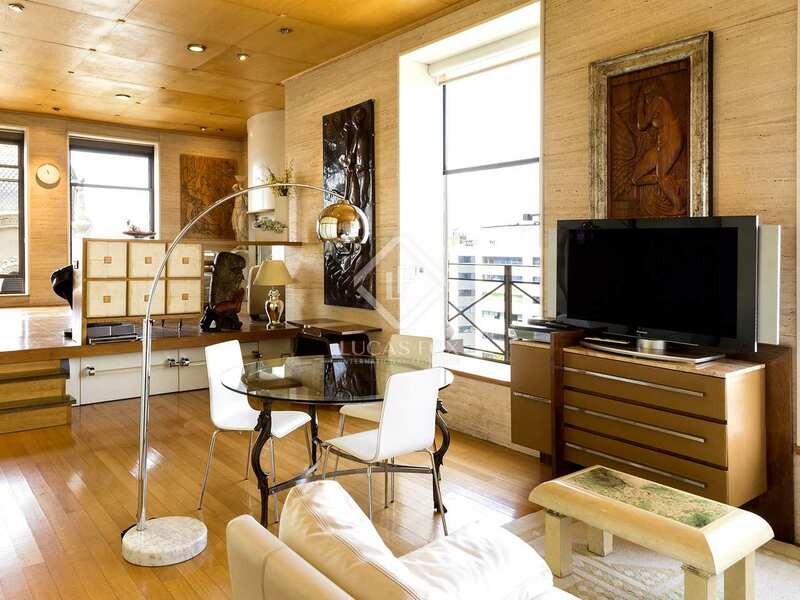 It is in an unbeatable prime city location, right on the famous Plaza Cataluña. 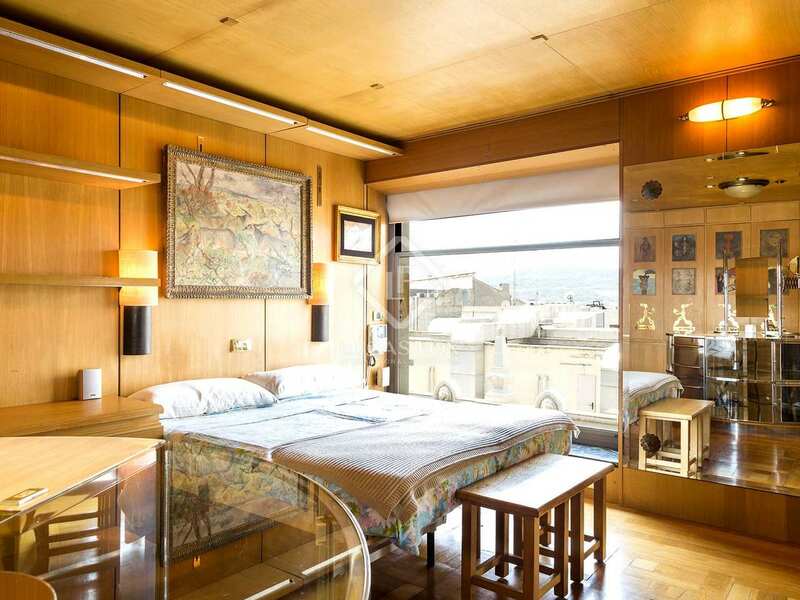 Registered as 3 entities: a 140 m² apartment, a 100 m² apartment and a 50 m² studio apartment, these properties are being sold together. 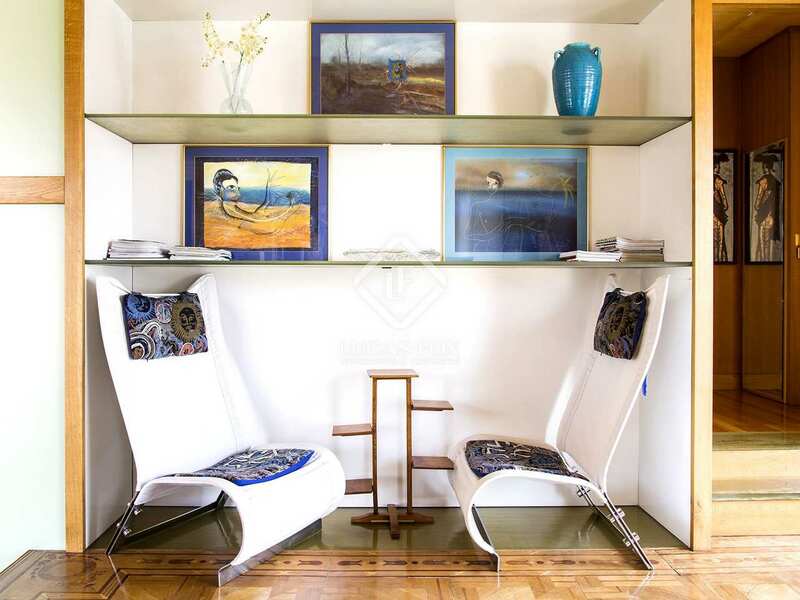 The layout can be entirely redesigned according to the new owner's requirements as the walls are all partitions. 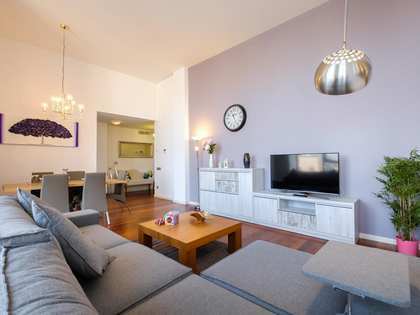 As these were originally separate apartments, there are walls separating them but one of these walls has a mechanism to open it up, connecting the 2 larger apartments. 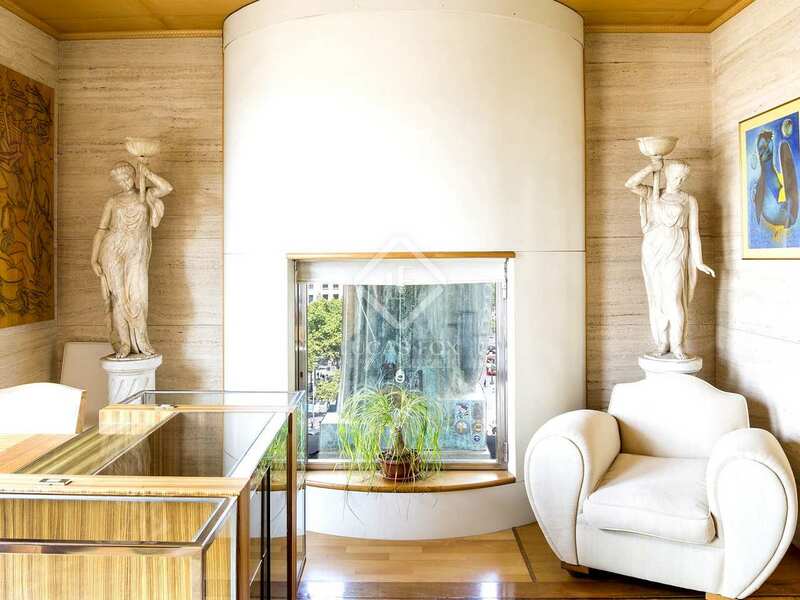 This particular area of the building is located where the bank cafeteria used to be and benefits from very high ceilings, modern design, wood and marble features. 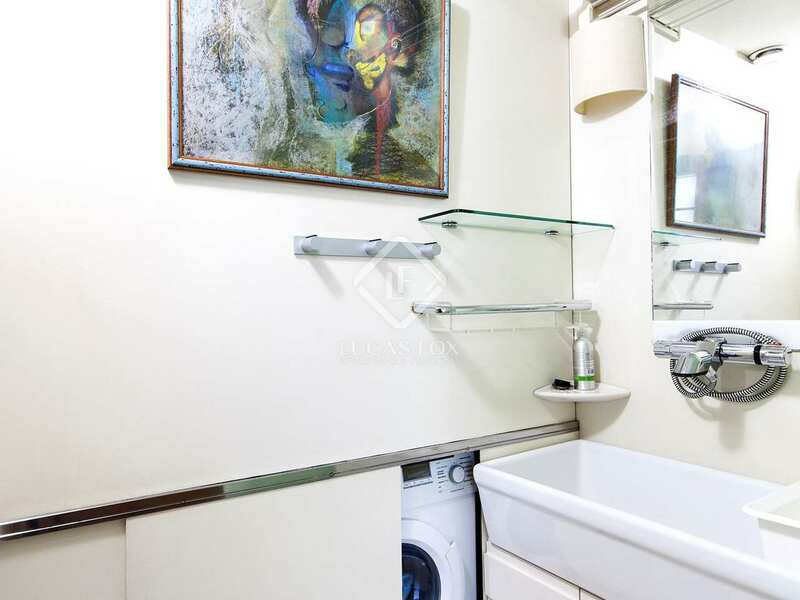 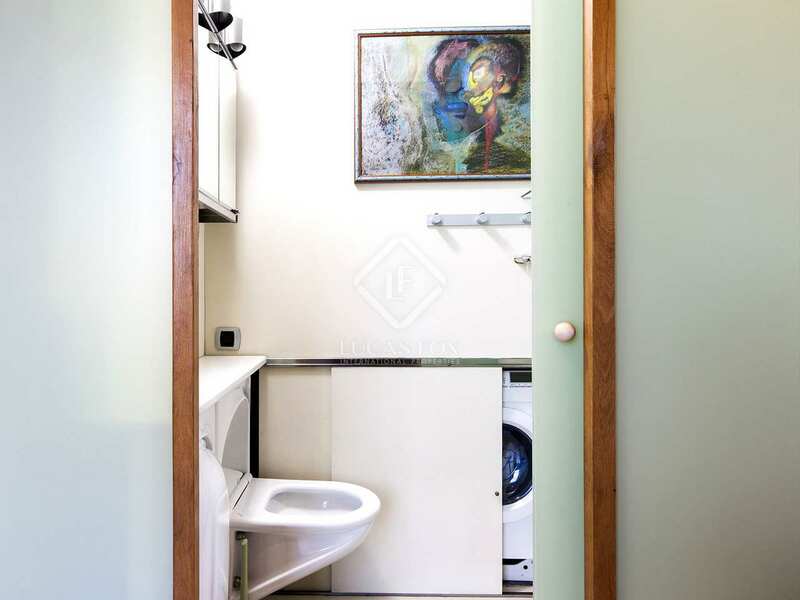 The property is presented in move in condition and has a total of 2 double bedrooms, 1 single bedroom, a studio apartment with another bedroom and 5 bathrooms in total. 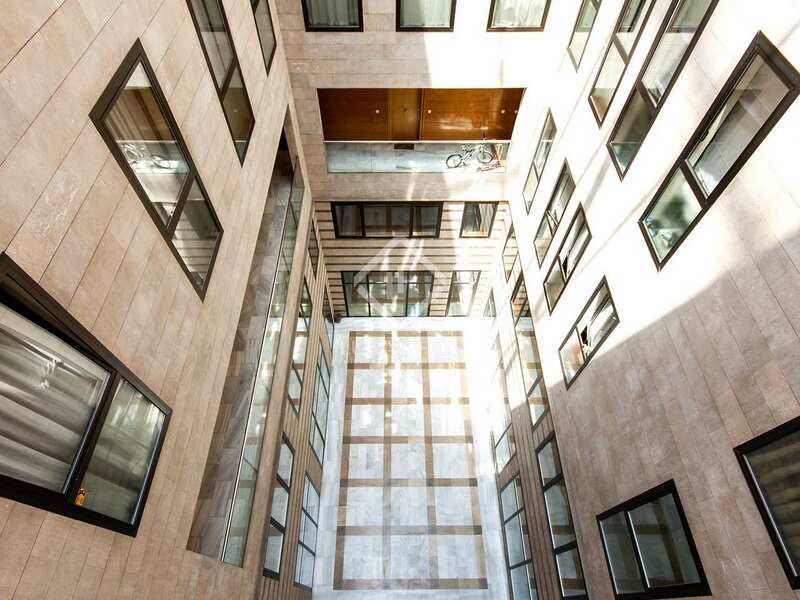 There are 2 spacious parking spaces in the building, with room for up to 3 cars. 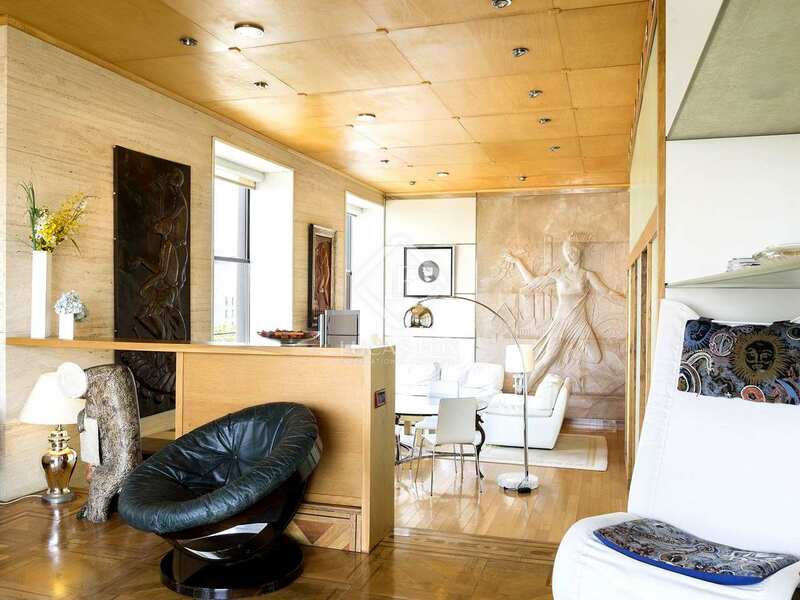 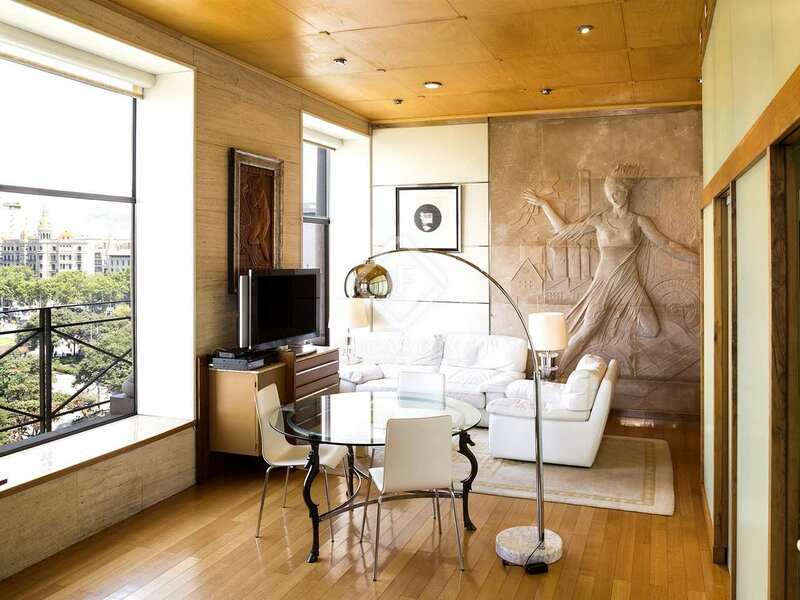 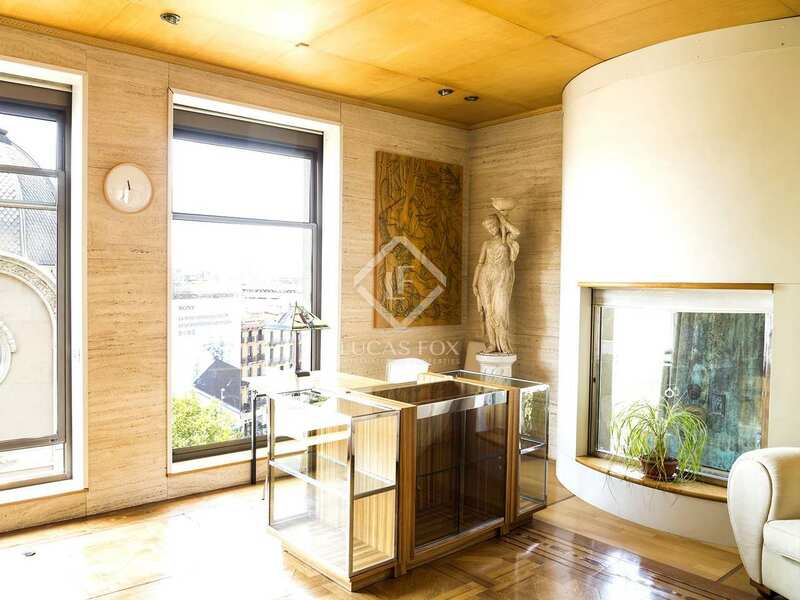 This property boasts some exceptional high-end features such as the orignal mural by the scupltor Frederic Mares and his bronze sculpture on the facade, along with the exterior granite columns. 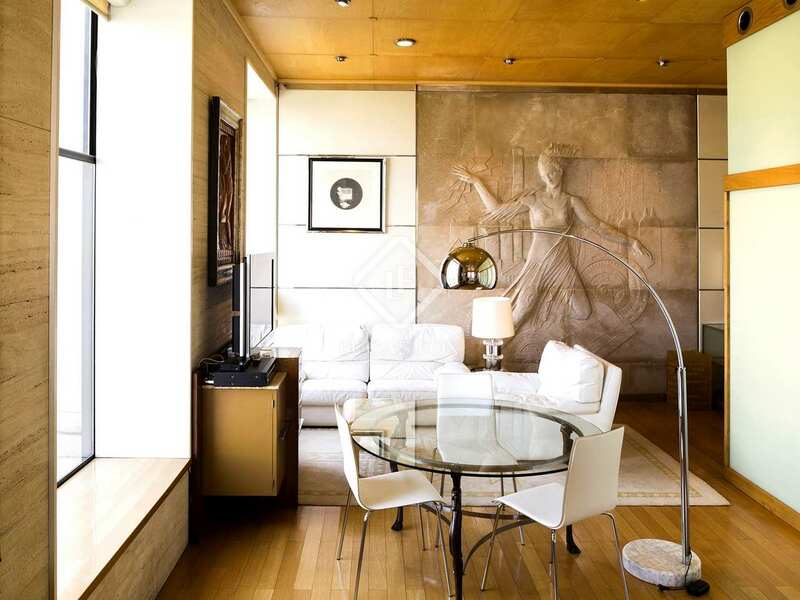 Italian marble has been cut for made-to-measure marble finsihes inside the property and the elegant solid oak woodwork and 3.80 metre high ceilings give the property an exquisite feel. 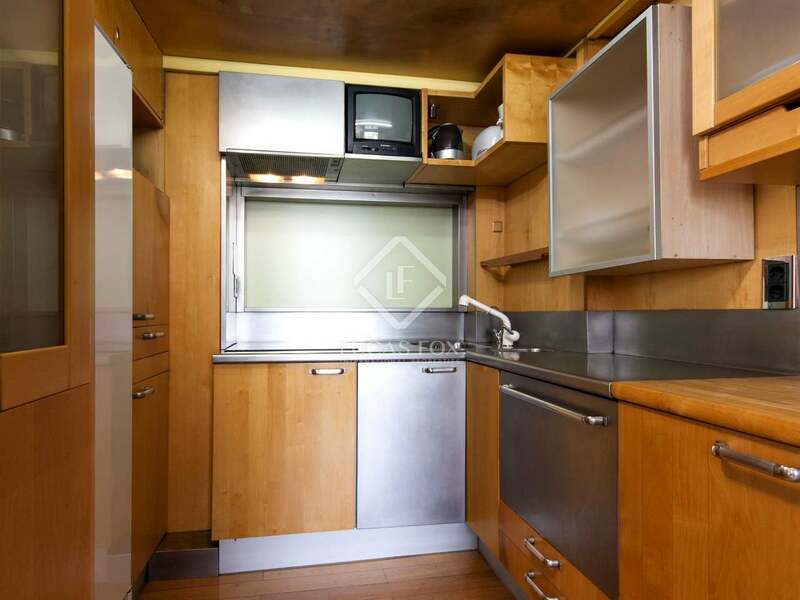 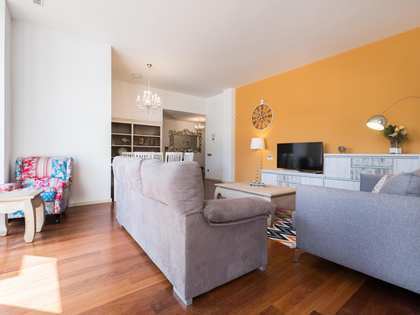 This would be a fabulous investment property with a guaranteed high rental yield given its location on Plaza Cataluña, considered the centre of Barcelona with literally everything on the doorstep. 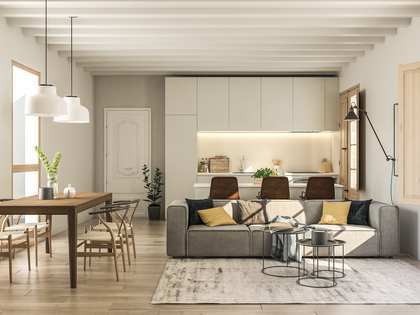 A mobile wall makes it possible to easily connect the 2 largest apartments and create a very spacious, single property with the layout to be decided by the new owner. 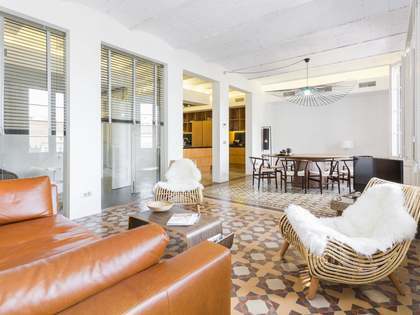 Property located on none other than Plaza Cataluña, known to be the heart of Barcelona and linking the Eixample district and the Gothic Quarter. 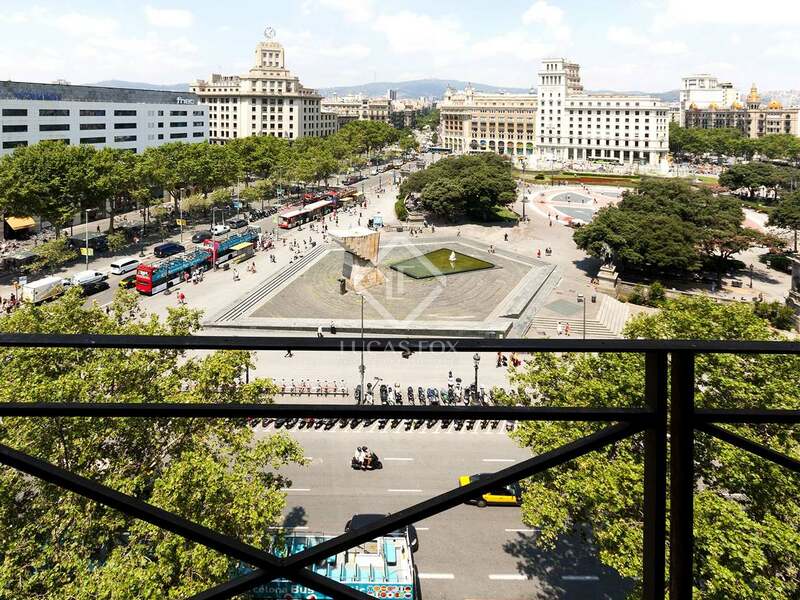 If we think of the oldest neighbourhood in the city of Barcelona, with the most history and incomparable tourist attractions, we can only be referring to the Gothic Quarter. 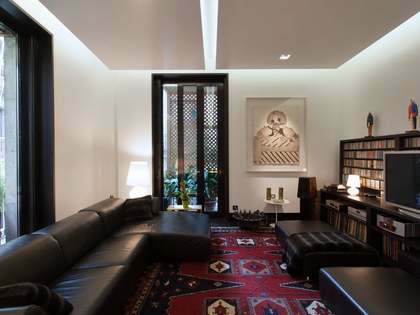 This neighbourhood is home to contrasting spaces and buildings that could only be found in such a charismatic area. 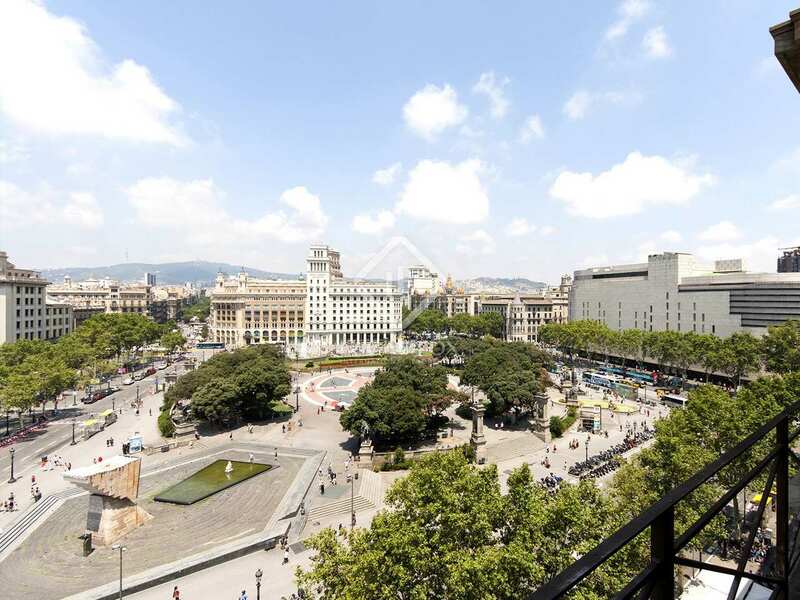 Barcelona's shopping area par excellence is located in Portal del Angel, many religious buildings like the Cathedral or the Santa Maria del Pi Church, important cultural venues like Ateneu Barcelonés or 'Els 4 Gats', are just some examples of the diversity found in this area. 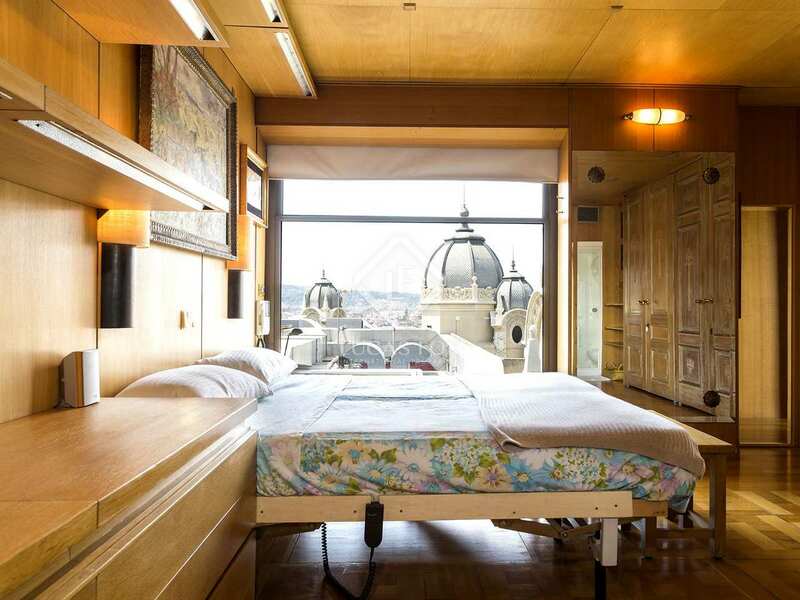 Bordered by Las Ramblas and Via Laietana on one side and Plaza Cataluña and the city port on the other, the streets enclosing the Gothic Quarter are full of museums, shops, restaurants, places full of history and a neighbourhood where diversity and tradition intermingle in a wonderful and unique way.